Each of us is born with the ability to lead a harmonious life. IFS unlocks that ability. The Internal Family Systems (IFS) model, developed by Richard C. Schwartz, Ph.D. (1995), describes your inner world as being like a family. Think of your own family. It’s probably safe to say you don’t always get along with each other. When this happens inside you, you can fall into eating, drinking, or shopping too much, or any of those other excessive quick fixes that don’t actually fix anything at all. The IFS approach to personal development teaches you how to cultivate your Self qualities for greater happiness. IFS Therapy offers effective new language to couples, allowing you to communicate with each other safely and effectively. IFS will take the fear out of anger by helping you both understand the defenses and coping strategies you developed in childhood. Together you will create an intention and vision for the satisfying, connected relationship you’ve been looking for. Get started relating better to your significant other. 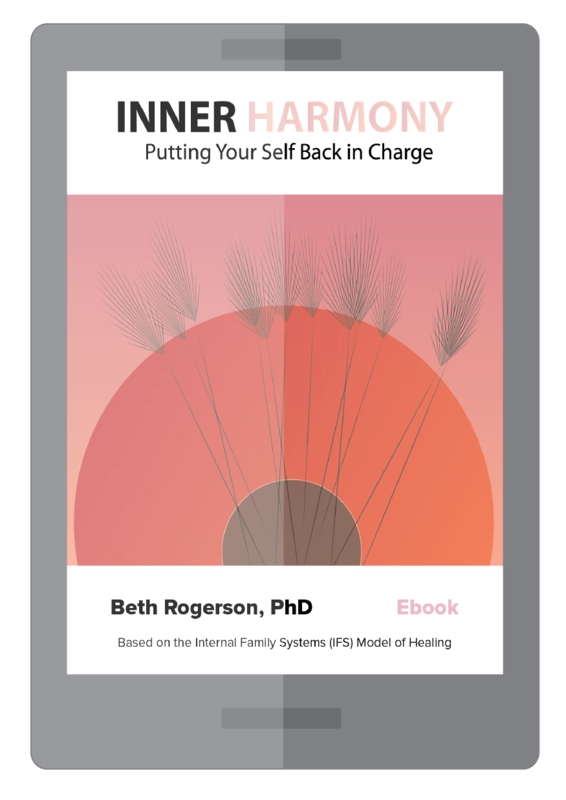 I wrote Inner Harmony: Putting Your Self Back in Charge so you can get started on the path to balance and harmony right away. With this book you can get to know your Self and your parts, and begin cultivating the Self qualities that will improve your relationships with yourself and your loved ones.